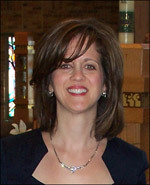 Shelby Twp Dentist - Kathleen P. Vani, D.D.S. Welcome to the practice of Dr. Kathleen P. Vani, where we strive to exceed your expectations through our friendly staff, modern office and professional results. Our goal is to provide excellent, personalized dental care in a relaxed, state-of-the-art facility with a well-trained, friendly and caring staff. Our website is designed to help you learn about our practice and the services we provide. If you have any questions, or if you would like to learn how we could help you and your smile, please call (586) 731-4320.